Hummus is a Middle eastern dip/spread made with boiled chickpeas to which ingredients like olive oil, garlic, salt and lemon is added. It is usually smeared over toasted bread or tortillas to make tacos. Hummus is most popular for accompanying falafel which is tucked into soft pita bread and served with crisp salad made of cucumber,onion, tomato and fresh mint. Hummus is served as a dip with pita and tortilla chips too as an appetizer. My another favourite way of eating it is with raw veggies like cherry tomatoes, carrot, cucumber and steamed broccoli. Its a great snack anytime of the day when you are hungry. I cannot even begin to tell you how much I adore this dip. I don't know a single person who has tried it and not fallen in love with it. Its creamy, healthy, lemony, spicy, garlicky, delicious and packed with fresh punch of coriander! Creamy hummus comes together easily and perfect when your guests or friends are coming over. You can make it the previous day and store in an air-tight container in refrigerator. 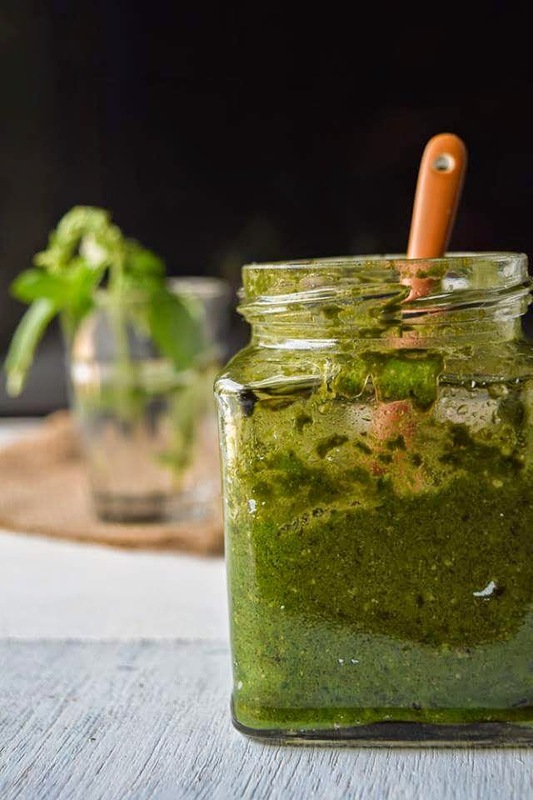 I have shared recipe of hummus before too.This time around, I am sharing recipe of my green goodness hummus with lots of coriander. Yum! I absolutely adore creaminess of hummus and love how chickpeas absorb flavour of garlic and lemon and makes it irresistible. When I make a batch of hummus, I eat it with pretty much everything, even have it directly from the bowl on its own. It is that good! Blend all the ingredients together in a food processor. Scrap the sides couple of times while doing it. Store in an air-tight container in refrigerator and use within 2 days. Incase you are vegan, leave out yoghurt and it will last for upto a week. Incase you try this recipe, don't forget to take a snap and hashtag as #fascinatingfoodworld on Instagram and #nishbes on Twitter. Follow me on Instagram, Pinterest, Twitter and Facebook for regular updates on new recipes.